Vintage Backyard Wedding Lights Up The Night With Megan & Mark’s Blowout Party- RX For Fun! What are the odds that two people could meet online, and not find out until their first date that they are both nurses working at the SAME hospital?! Pretty slim, I would think. But Megan and Mark did it, and when it came time for their wedding it was a prescription for fun…and lots of it! There was so many custom touches that really showed off their unique personalities- from the custom cuff links that were Megan’s special gift to her groom, to the pharmacy inspired seating cards and table names- complete with the head table named-what else- Viagra! Their adorable daughter played a prominent role…the three of them got married! Her expressions are just priceless. The combination of the warm night air, cute, personalized touches and their warm, friendly upbeat personalities, made for some great shots! Thank you Megan & Mark for being so much fun and so willing to try ham it up for the camera, and really be yourselves! Place Cards Displayed Below Pharmacy Sign-What a Clever Idea! Everyone Grab A Pair to Dance The Night Away! 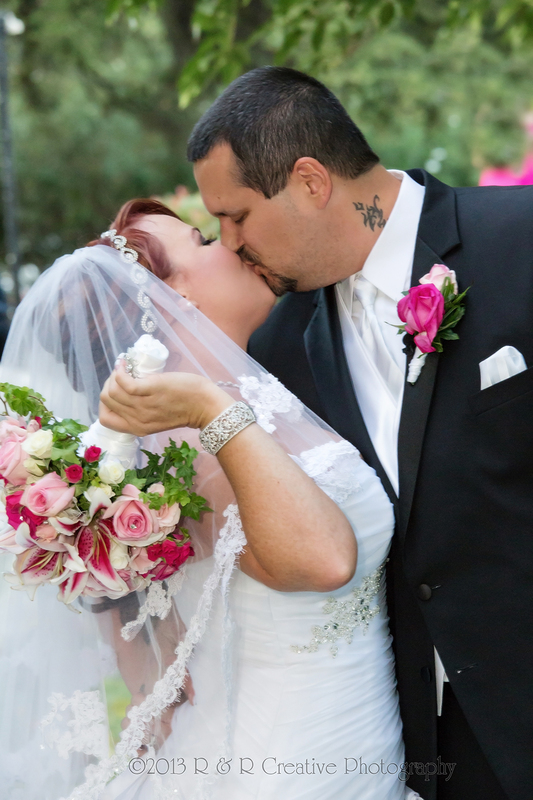 Together we shared in Megan & Mark’s Happily Ever After!